I picked this up for my mother, who drinks coffee, but rarely makes a pot at home since she only drinks a few cups and will not invest in a single cup machine ( what happens when she has company over ! ). 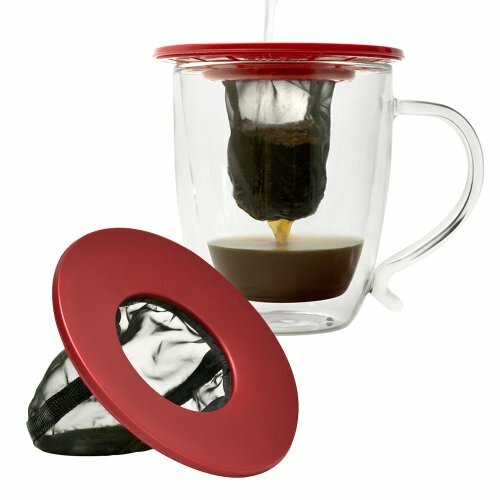 This works great and lets her brew a single cup at a time. Its easy to clean, produces decent coffee and its small and easy to carry, which i think is the part she really loves. She camps during the summer off and on and this is perfect to take along and doesn't take up precious space in her little pop up camper. Would never work for us here ( we drink far to much coffee ) but for her it seems to be great.